You are currently browsing the daily archive for December 18, 2014. There are a number of well-known ministry leaders who are creating a large measure of confusion and fear among Bible-believing Christians regarding events that might take place in the “end days” that precede the Second Coming of Jesus Christ. There are primarily two points of contention. First, there are those who speculate that fallen angels, or demons, are performing experiments using genetic modification and possibly even copulation with human women, to produce a hybrid race of beings that corrupts humanity and traps it in its fallen state. This often wraps in various sci-fi ideas and mystical notions of the Transhuman movement, which attempts to achieve godhood by applying science and technology to the human condition. 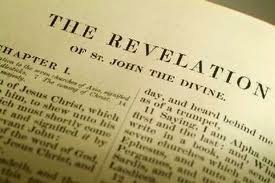 The second point concerns the study of Bible prophecy and how the book of Revelation should be interpreted and integrated with the many portions of the Old Testament that deal with prophecy. This centers primarily on the timing of the rapture of the church relative to the other events taking place during the Tribulation. The traditional view of a pre-tribulation rapture is under heavy attack in favor of other and newer views, such as mid-, post-, pre-wrath or intra-seal-tribulation rapture, prompting many Christians to wonder if they will, indeed, have to live through any part of the Tribulation or if they are destined to be martyred during that period. This writer has no immediate intention of addressing these errors because it has been done already by others in numerous publications. However, it will suffice to offer the following counsel to help serious students of the Bible to find the truth and thus be insulated from deception and error that seems to be all around us. Paul warned, “But I fear, lest by any means, as the serpent beguiled Eve through his subtlety, so your minds should be corrupted from the simplicity that is in Christ.” (2 Cor. 11:3) Essentially, Satan promised Eve secret knowledge that would elevate her status to truly know the mind of God. This was the first lie of epic proportions in human history, and it is still being used today with equal effectiveness. Beware of any teaching that is not simple to understand. When secret, “just discovered” or unverifiable knowledge is suggested as the key to understanding some particular Bible truth, run the other way.